The end of a decade – especially in commercial real estate – is the perfect time for reflection. Yes, I realize 2018 is not the close of the actual decade, but the last 10 years have seen the local industry swing from tumultuous to downright exciting—with a lot of cautious optimism stuck in between. You only need to look at downtown Kansas City to see how far we’ve come. While Kansas City felt the burn like everyone else, the rebound downtown came quickly. In fact, even in the midst of the downturn, the Copaken Brooks Class A properties in the Central Business District (CBD) ended 2011 with a higher occupancy rate than 2008. The stars really aligned for us: The momentum was still churning from Power & Light, the residential market was rising, and companies were trying to do a better job of attracting and retaining good employees in an urban environment. We had a lot of available space, but we also had a command of the market and knew when certain significant leases were rolling. We were able to take a targeted approach and really make some great matches at just the right time. It made us realize that there was definitely an increased demand and attraction for downtown at that time—another reason why it’s so important for landlords to have the best representation available in the marketplace. The following years saw the market continue to evolve, as more and more businesses saw the benefits of moving downtown, including a centralized location for their labor force and a palpable buzz and energy we all could feel building. We continued to ride that wave and match many top companies with prime locations in the CBD, while also exploring opportunities to convert historic buildings into prime office space. One of the best examples is Corrigan Station, the 10-story building at 18th and Walnut, originally built in 1921. After it was purchased in 2013, we partnered with 3D Development to bring it back to life—and what a life it’s seen! Not only did we hit a 100-percent leased status within one year of opening, but it also hit a record high for rent within the CBD—a testament to the demand created from properties done the right way. Of course, the streetcar played a big role during this timeframe as well, and as the Downtown Council has reported, development around the route was quick to follow. That brings us to now, which really feels like the beginning of a tremendous growth phase downtown. We’re seeing more and more suburban companies realize the need to tap into the downtown energy if they want to compete for an ever-changing workforce demographic. 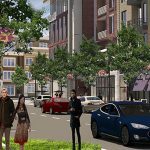 But it’s also spurring new development downtown: We were able to kick off phase II of Corrigan Station, for example, and more commercial development leads to more residential, like Arterra, a new visual icon in the Crossroads that will feature 126 state-of-the-art residential units and first-floor retail. I’m proud of our role in downtown’s revitalization, especially regarding Class A office leasing. By helping you establish a comprehensive marketing strategy, we allow you to benefit from above-market occupancy rates and maximum property values. It has to come down to putting together the right kind of deal, not just finding a tenant. The owner looks to us to navigate those waters, to identify the best options that make the most sense for them, focusing on the right deals for long-term success. As I look back on the numbers – from an office vacancy rate around 22 percent in 2009 to 8.9 percent now – I see a new Kansas City that’s in a strong position to truly build on the energy we’ve created for an even greater future. What a decade it’s been! Ryan Biery, SIOR, is senior vice president of brokerage at Copaken Brooks, a full-service commercial real estate firm headquartered in Kansas City and serving the Midwest. 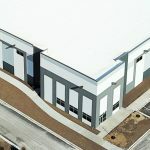 The company’s full suite of services includes: leasing (office, retail and industrial), condo management, property management, asset management, development, investment acquisition and sales, tenant representation, HQ relocations, and construction management.